Pinewood Studios: 007 Stage - Fortress of Solitude and Artic exterior with lake and glaciers (tank holding 800,000 gallons of water). 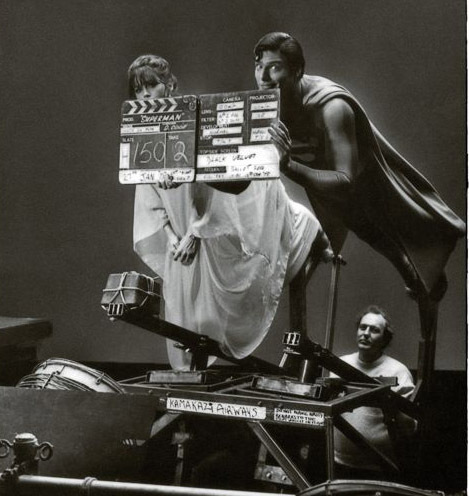 Shepperton Studios: C Stage: Jor-El's chamber and the Destruction of Krypton (start of filming). Another day of gruelling flying scenes, captured in this great candid shot, from Ain't It Cool News website.